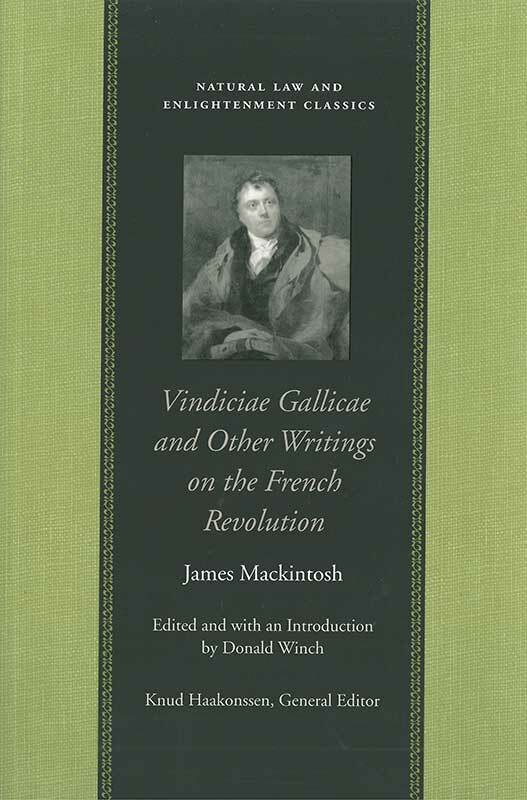 Vindiciae Gallicae was James Mackintosh’s first major publication, a contribution to the debate begun by Edmund Burke’s Reflections on the Revolution in France. The success of Mackintosh’s defense of the French Revolution propelled him into the heart of London Whig circles. Following the September 1792 massacres Mackintosh, along with other moderate Whigs, revised his opinions and moved closer to Burke’s position. The Liberty Fund edition also includes Mackintosh’s Discourse on the Law of Nature and Nations, Letter to William Pitt, and On the State of France in 1815. James Mackintosh (1765–1832) was a prominent Scottish Whig. Donald Winch is Research Professor in the School of Humanities at the University of Sussex and a Fellow of the British Academy. Introduction, note on the texts used in this edition, annotations, chronology of James Mackintosh’s life, selective chronology of events relating to the French Revolution and to parliamentary reform in Britain, dramatis personae, index.